How to budget is up next on our agenda in this budgeting series. Last time, we talked about why you should budget. This time around, we’re going to talk about how to budget. That’s really key, actually. Lots of people want to make a budget, but they don’t know how. 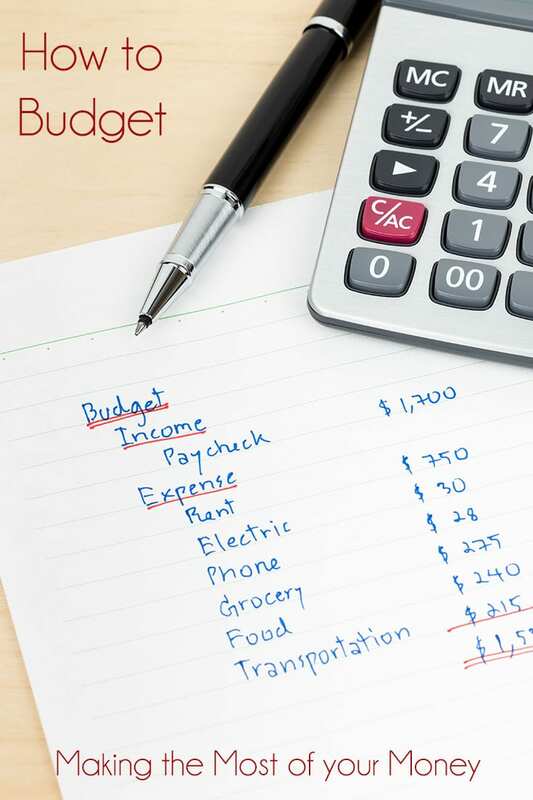 So let’s take a look at how to get a budget going to make the most of our finances. Today, we’re going to talk about how to budget, and I mean really budget. Lots of people say they’re going to make a budget, but they don’t really make a budget so much as they make a loose plan on how to possibly cut expenses. That is not a budget. Budgets are hard. I know, I had to make one, and frankly, it was painful. I want to share with all of you what budgeting really means. The first and most important key to budgeting is one that is quite possibly the hardest. That means being honest about your finances in every way. Be honest about what you need vs what you want. Be honest about how much money is currently coming in and going out. Be honest about what you can do, what you want to do, and what you want to do. The only way to really get a good budget in place is to be thoroughly honest with yourself about your financial situation. You need a clear understanding of your finances. Take a full inventory of where all of your finances come in from every month, how much you take in, and if all of those sources are secure. That means that the money will be there each and every month. That may sound like common sense, but this ties into taking inventory. Taking inventory and ONLY budgeting for the money that you know will unequivocally be there is so important. You want to budget for regular money that’s always coming in, not for things that may or may not be there like selling your stuff on eBay. If you want to know how to budget, it comes from the honest inventory mentioned above. You have to be so honest about what you need vs. what you want. For example, some of us say we need Netflix because we love television so much. This is where the hard choices come in. Will that service keep food on the table, a roof overhead, or contribute to the financial betterment of the family? It won’t so it’s not a need. So now we come to making it all work. Start with your honest inventory of your income and your expenses. Be brutally honest with yourself, and only count the monies that come in regularly with no interrupt. That’s how you know where you’re starting from. From your inventory, look at your needs vs. you wants. Break it all down, separating out the wants and needs. Then begin sorting through your expenses, prioritizing your needs. Once you have all of your bills squared away, start budgeting in savings. A budget with savings factored in can help you in the short an the long term. Once you have your needs and savings squared away, take a look at what’s left for wants. I said a budget could be painful, but it doesn’t have to be totally miserable. What are your wants? What are the wants that you want the most? Here’s an example. Starbucks coffee is nice, but cable is nicer, in my opinion. If I forgo the Starbucks, and maybe one or two other things that are a little “meh” on my wants list, I can afford the cable. That’s just one example. You can do this with each and every want. Since I figured out how to budget, I’ve had a much better life. My entire family knows exactly what we can and cannot afford and exactly why we do and do not buy certain items or pay for certain things. When you know how to budget, you know how to maximize your dollars, and you’ll find that you can actually comfortably live and afford more than you think. So give it a try. I agree, being HONEST is key to setting up a successful budget. It’s a little difficult the first few months the budget is up and running. However, by the fourth month of doing your budget you have a better understanding and you know from reality what you’ll be spending each month.